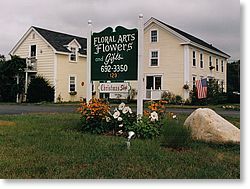 Welcome to Floral Arts' site on the Web. Whether you've been a guest at our store, or found us through the search engines, we're glad you're here! Here, you can shop online, ask us questions, view the FTD Catalog for ideas, or just browse around. Use the topics at the top of the page to make your selection, and off you go! Everything from Gift Baskets, Vases, Plants, and Unique Gifts. Our Certified Master Designers are sure to please! If you're recently engaged, there are 19 pages of catalog information divided into three main sets; Classic, Garden and Modern motifs. And everything from ceremony flowers through reception decorations is found in easy-to- navigate categories.